This particular carpet has beautiful shaded effect. Nothing looks more beautiful than a Jewel Traditional carpet on the floor. 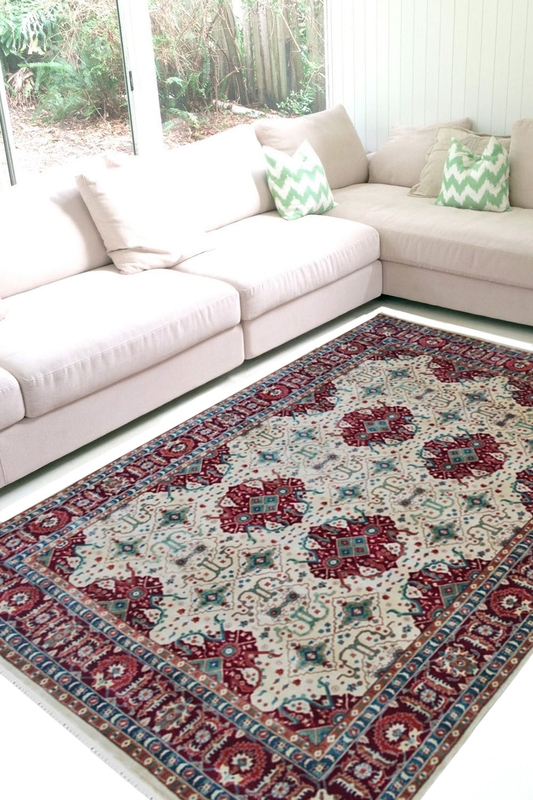 Give a statement to a floor by placing this Kashan design wool rug which contains floral bold motifs. This is absolutely ideal for creating a focal point in your living space. The Jewel Traditional woolen carpet is one of the most beautiful carpet in Rugs and beyond. It has a very intricate pattern in traditional style. This area rug has taken minimum 8 months to weave this gorgeous beauty. The main color is maroon and ivory. It has a beautiful border. This design is originated in 19th century. This is very popular design and mostly liked by carpet lovers. According to our recommendations, you can use it with light colored furniture. This is 100% washable rug. You can increase the life of this carpet by vacuum it once within every month.